What do you understand by ‘safety’? What do you understand by ‘health and safety’? For many business leaders, health and safety is a compliance issue. For the good of society, we have legal checks and balances in place to minimise the chances of accident and infection in the workplace. Some businesses treat these checks and balances in the same way as some motorists treat speed limits: it’s OK to bend the rules so long as you don’t get caught. In practice, this may mean ticking just enough boxes to give an impression of compliance. But a growing number of organisations, in my view, are taking a different approach. They recognise that compliance is just a small part of what workplace health and safety is about. What is really important is risk reduction. 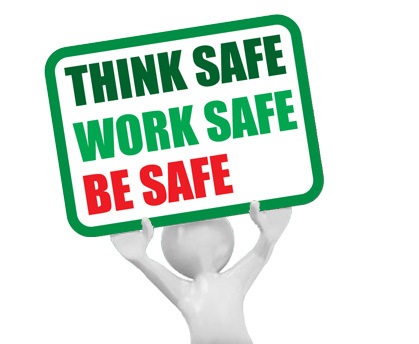 Think about it: if someone gets injured in your workplace then you face an increased risk of legal action. You risk operational downtime. Financial loss. Reputational damage. Staff discontent. Recruitment challenges. On the flip side, having a good health and safety record can pay off with higher staff satisfaction, lower absenteeism and reduced legal, financial and reputational risk. Seen this way, it makes sense to look at workplace health and safety as something worth investing in. And this investment need not stop with obvious measures, such as staff training and safety equipment procurement. It could, and should, also cover all the systems and processes needed to maintain a high safety profile, including regular inspection schedules and a smart inspection-tracking platform. Anything else would be taking a risk. Contact us about how to make your organisation safer and more efficient. Our latest customer case study has all the makings of a Hollywood blockbuster. There’s a faraway location (Sweden, to be precise). A bunch of plucky young adventurers, in the staff of top working-at-height training, products and consultancy firm C2 Vertical Safety. 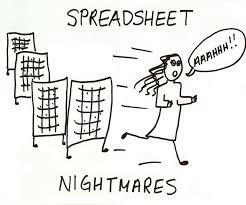 And then there’s an evil antagonist: the spreadsheet. For inspection recordkeeping, “we tried different systems, but we always ended up coming back to the same spreadsheet nightmare,” says Martin Malmberg, C2’s direct business marketing director. Like Grendel in the Anglo-Saxon poem Beowulf, the spreadsheet would come stalking during C2’s darkest moments: when the company carried out its annual midwinter stock-taking exercise. Then, C2 had to practically shut down for a fortnight so staff could carry out equipment inspections and bring records up to date. But help came from the hand of a stranger from afar. C2 happened to know a UK company called Lyon, which was using Papertrail to track its Industrial Rope Access Trade Association certifications. C2 was intrigued by the platform’s potential, and that’s how the story came to a happy ending. The annual inspection is more efficient thanks to Papertrail. And Papertrail’s ease of deployment and use of the platform is important because C2 now sells the platform to its customers. Over time, says Malmberg, C2 hopes to use Papertrail’s powerful reporting and analytics capabilities to remind clients when they should be scheduling training and equipment inspections or replacements. Needless to say, we’re looking forward to the sequel. Read the full case study And contact us for more information about how to make your organisation safer and more efficient. If you know Papertrail then you’ll know we’re passionate about modernising the way personal protective equipment (PPE) is managed, to improve safety and efficiency while cutting costs. It’s a message we try to spread in all our communications, including this blog. And it’s not just us who are banging the drum for more advanced PPE management. DMM, for example, has been leading developments in PPE for more than 30 years, and is a big advocate for smarter management systems. See why PPE manufacturers such as DMM now recommend all their customers adopt smart management systems. Understand how you can immediately save money and improve efficiency with smart PPE management. Experience how quick and easy it is to implement smart PPA management systems. The 45-minute webinar is completely free and will kick off at 4pm GMT on Thursday April 19th. Besides hearing from myself and Rob, you can get to ask us all those niggling questions you’ve been wanting to get answers to. To make sure you don’t miss you place on this unique webinar, take a minute to sign up now and block out your diary at 4pm on the 19th. I look forward to you joining us for what will undoubtedly be a really valuable interactive session. FREE WEBINAR – SIGN UP NOW!! Could ‘small data’ help cut offshore wind costs? Talk of ‘big data’ is all the rage in the wind industry. The ability to crunch massive amounts of turbine data in near-real time is seen as a key way to help cut costs, particularly in operations and maintenance. This is undoubtedly true. The problem for wind farm operators is that big data systems are complex and expensive. And sometimes it can be hard to see if the financial benefits they will yield are worth the investment. Not all wind farm data requires a big number-crunching approach, though. Take equipment inspection records, for instance. The mere act of using a platform such as Papertrail to track this data can yield significant benefits in terms of operational efficiency, cost reduction and worker safety. And since it is delivered from the cloud in a software-as-a-service package, it couldn’t be easier to set up and use. It’s big data in terms of its capabilities and advantages, but decidedly ‘small data’ in terms of its drain on the business. Papertrail is already being used to great advantage across the offshore wind industry, by major project developers such as Innogy Renewables UK and specialist contractors such as Offshore Painting Services. Why not use this small data gem to help your renewables business run more safely, smoothly and cost-effectively, too? Contact us now for more information about how to make your organisation safer and more efficient. I’m unaware of the last time working-at-height safety was a government priority. But last month the UK Government issued a call for advice on this very topic. 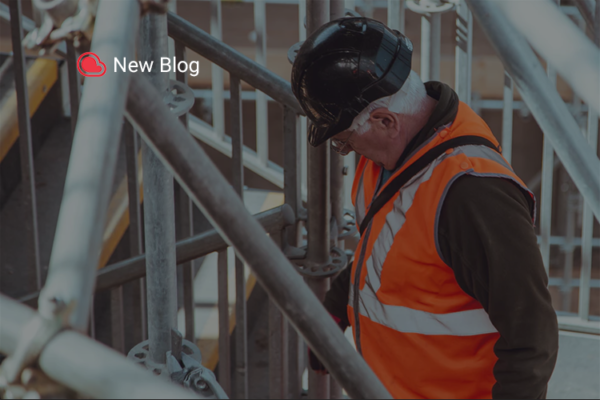 More specifically, a committee investigating working-at-height injuries and fatalities put out a statement, through an All Party Parliamentary Group (APPG) on Working at Height, seeking information to understand fatal fall causes and solutions. The committee is concerned that falls from height, and falling objects, account for the highest number of preventable fatalities and injuries across all sectors in UK industry, according to the APPG. “The APPG will seek to understand the root causes and propose effective, sensible measures to reduce this toll and send people safely home from work,” it says. As a business committed to improving operational safety through improved personal protective equipment management, at Papertrail we are naturally delighted that this issue has been taken up by the UK administration. And we are keen to spread the word so the APPG gets as much support as it can from industries employing working-at-height practices. To get involved, take a look at the APPG’s questions and submit your responses by March 2, 2018, to appg@workingatheight.info or Working At Height APPG, 32-34 Great Peter Street, London, SW1P 2DB. If you’re working in a European Union (EU) business and you haven’t heard about GDPR already, then you should have… and you will in 2018. 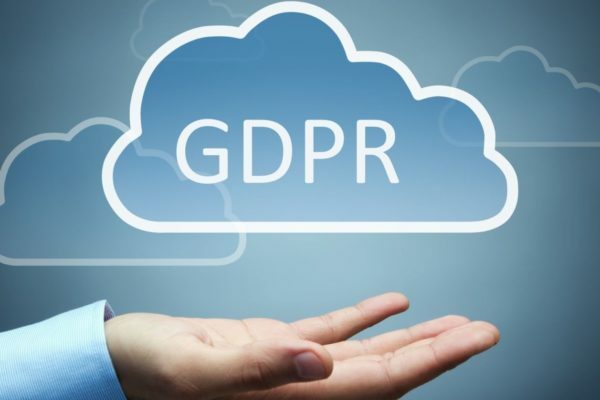 The General Data Protection Regulation is an instrument by which the European Parliament, the Council of the European Union and the European Commission intend to strengthen and unify data protection for all individuals within the EU. But for companies that must comply with it by May 25 this year, the regulation, which gives citizens much greater control their personal data, is potentially a bit of a headache. The right to know when their personal data has been hacked, since organisations will have to inform individuals promptly of serious data breaches, and will have to notify the relevant data protection authority. A clearer right to erasure (or the ‘right to be forgotten’), so when an individual no longer wants their data processed and there is no legitimate reason to keep it, the data will be removed. Easier access to their data, including providing more information on how that data is processed and ensuring that the information is available in a clear and understandable way. A new right to data portability, making it easier to transmit personal data between service providers. For companies, the challenge will be to identify all relevant PII and make sure it can be easily provided to an individual or deleted if needed. And this PII can include all information about staff and customer certifications. If you hold this kind of information on spreadsheets or other traditional methods, complying with GDPR could be a problem because you have to track down and take into account every single copy of documents containing PII. That is why you might want to consider moving to a central, cloud-based system such as Papertrail. With Papertrail, you store all relevant certification data in one place, and can access it quickly and easily from anywhere. You also benefit from holding the data in a highly secure environment, where access is restricted to the administrators you choose. In theory, Papertrail covers most of the GDPR boxes you need to worry about… but by all means get in touch for more information. Contact us now for more information about how to make your business more efficient and compliant, no matter where you are. Could greener energy yield a ‘safety dividend’? The UK energy system ended last year on a high note. According to the National Grid, 2017 was the greenest year ever for electricity in the country. Renewable energy sources provided more power than coal for around 90% of the year. This is clearly great news for those concerned about climate change. But increasing the UK’s reliance on renewable energy may have another, less obvious advantage, linked to safety. Coal, oil and gas are all hard to get out of the ground. They can catch fire or explode when handled. And they are major sources of air pollution. This all means they can have a significant impact on health. Coal, for instance, is thought to cause 100,000 deaths per trillion kilowatt-hours of electricity, which is about the amount that Russia consumed in 2014. For the same amount of electricity, oil kills around 36,000 people. Natural gas results in 4,000 deaths. The death rates from renewable energy, meanwhile, are comparatively small. Rooftop solar panels, which are made in pristine lab conditions and have practically no pollution or maintenance risks during operation, have a mortality rate of 440 per trillion kilowatt-hours. Wind power is even safer, with a mortality rate of just 150 per trillion kilowatt-hours. Naturally, these figures should not discourage renewable energy companies from striving to improve safety. But it is also clear that simply switching from fossil fuels to wind and solar could cut energy sector-related deaths by two or three orders of magnitude, which is a major achievement. The key, of course, will be for the wind and solar industries to maintain or improve their safety records wherever possible. This won’t happen automatically. On the contrary, even though wind and solar are inherently safer than coal, oil or gas, the fact that renewable energy sectors are growing rapidly means special emphasis needs to be placed on keeping safety standards high while scaling up production. Part of this will need to be through improved training and policies. Part of it will be through the application of technologies ranging from drone-based inspections to personal protective safety equipment management systems, such as Papertrail. Provided renewables firms make sure this remains a priority, the move to clean energy could deliver a safety dividend as well as better deal on climate. Contact us now for more information about how to make your wind business safer. It’s that time of year when most company leaders start to ponder the year ahead. You think about objectives, worry over targets and start to juggle budgets. That last part is never easy, particularly since 2018 will likely be another belt-tightening year for many companies. When it comes to personal protective equipment (PPE), the task is doubly difficult. This material costs money but does not generate revenues. Instead, it’s primary role is risk mitigation: making sure your business does not suffer an expensive catastrophe. Putting a price on an unforeseen event is almost impossible, so the chances are you will invest enough to make sure you meet legal and best-practice guidelines, and leave it at that. But this year you might want to throw smart PPE management into the mix, too. Naturally, implementing a PPE management platform carries a cost. But unlike PPE itself, a smart management system can yield a measurable return on investment. XI Training, for example, has cut PPE administration times by 60% after bringing in Papertrail. And administrative savings are just the start. According to Cleo Cabuz, vice president of engineering and chief technology officer for Honeywell Industrial Safety, 2018 will be the year that smart PPE takes off. “In future, by using retrofitted wireless data transfer technology, everything from eyewear to hardhats could become connected, while further innovations in wearable sensors could make it possible to monitor any parameter that affects a worker’s health,” Cabuz says. Part of that evolution will involve having platforms that can store information about each PPE item, along with its work history and future—a kind of digital passport, if you like. That kind of platform exists today, and could already be delivering benefits to your business in terms of reduced cost, improved efficiency and better safety. 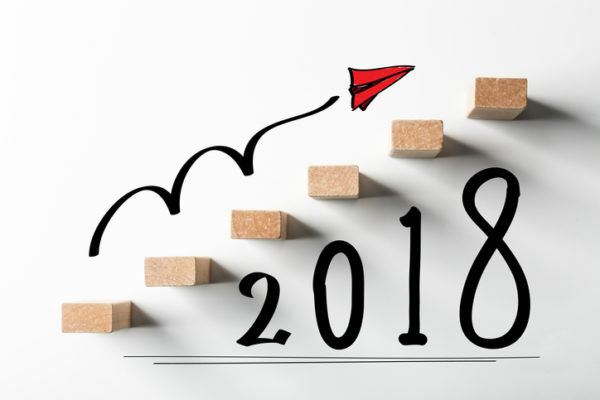 Why not make 2018 the year you introduce it into your organisation? Contact us now for more information about how to make your business safer and more efficient. Could smart tracking systems give wind turbine elevator maintenance a lift? This might seem like a trivial question, but it’s not. Lift availability is an important health and safety topic for the wind industry. And on reflection, it’s hardly surprising. In 2015, according to the US National Renewable Energy Laboratory, the average hub height for offshore wind turbines was around 90 metres, which is about as tall as the Statue of Liberty (or a bit shorter than Big Ben, for readers this side of the pond). As you can imagine, having to climb up stairs this height is an exhausting affair, particularly within the confines of a turbine tower. That is why turbine towers come equipped with lifts. 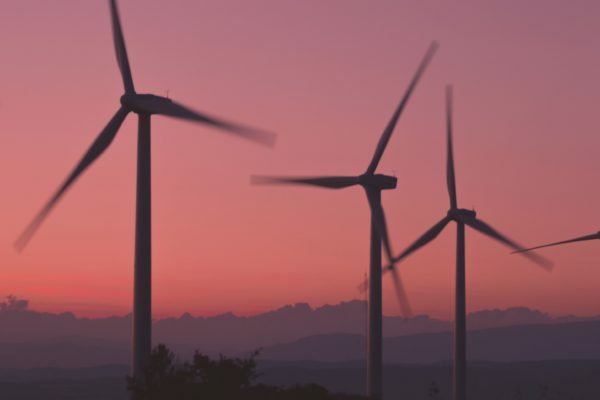 With the availability of platforms such as Papertrail, specifically designed to track inspections, it seems remarkable that wind farm operators could hamper productivity and compromise health and safety because of an inspection oversight. And let’s be clear about the risks here. Says G+: “The impact of climbing activities on health, safety and well-being is considered to be significant, and effects can be direct or indirect. Direct effects include immediate and delayed musculoskeletal strain. It is important to stress that offshore wind technicians work in environments where every care is usually taken to ensure health and safety. In 2016, for example, there were only nine emergency response or medical evacuation incidents in the whole of the UK offshore sector. Everyone in the industry will be hoping to keep this level as low as possible. All we are saying is that, in this day and age, missing lift inspections shouldn’t be a factor. 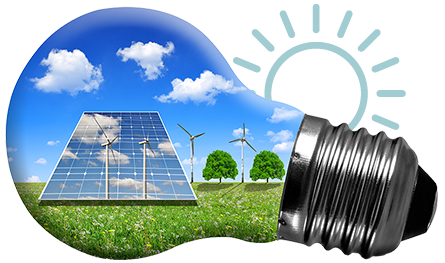 Contact us now for more information about how to make your renewable energy business safer and more efficient. The wind industry is doing a great job of creating safe operating conditions in a frequently hostile and dangerous environment. There have been incidents, to be sure, but in general wind has a great safety record compared to other power sectors. In part, this may be because it is hard to take safety for granted when you are working on a wind turbine. Up high above the ground, surrounded by moving parts, it makes sense to put safety first. Not all renewable energy workers operate in the face of such clear risks. Take solar panel installers, for instance. Solar PV has got to be one of the safest forms of power generation you can imagine. It has no moving parts. It will not spill or burn. And if the sun isn’t shining it won’t even produce an electric current. But that is not to say the sector is free from risk. 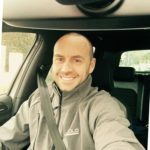 In 2015, for example, a solar installer tragically died after falling through the roof of a barn in Preston, UK, while he was putting up panels. His employer, Eco Generation, was fined £45,000 after it emerged the company had failed to provide vital safety equipment. “The court was told there were several measures Eco Generation could have taken to protect workers,” Installer Magazine reported. As with many work-related incidents, it appears this was sadly a case of an accident that could have been avoided if the right safety culture had been in place. There are many ways a business can improve safety, and one of the most basic, which will also help to improve business efficiency, is to have a smart tracking system in place so each technician goes to work with the right equipment, in the right condition. The solar sector might seem like a low-risk industry, but as long as rooftops and high voltages are concerned it would pay to play it safe… and introduce the kinds of technologies that wind companies have been relying on for years. Contact us now for more information about how to make your business a safer, more efficient place.